What is hair loss treatment? Treating hair loss requires an accurate diagnosis on the condition of the scalp to find out the root cause for hair loss, before an effective treatment can be carried out. Hair loss can be treated with topicals or treatments like PRP (Platelet Rich Plasma) and stem cell treatment. Treatments for hair loss depend greatly on the diagnosis done by our specialist doctors, Dr Peter Ch'ng and Dr Loo. Topicals like specially medicated shampoo, creams, or lotions can be used to help in hair growth or stop hair fall. PRP is also an effective treatment to stimulate hair growth at the treatment area. 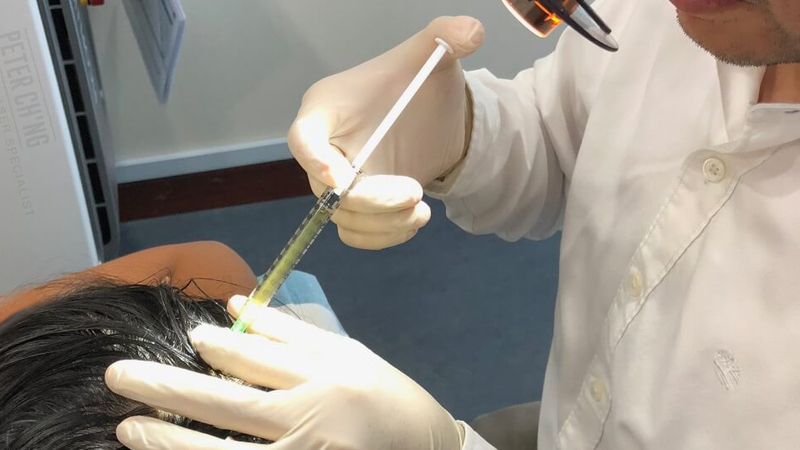 During a PRP treatment, your blood will be taken so that the PRP, a growth-stimulating part of your blood, can be extracted and injected into the bald area of your scalp for a rejuvenation effect. 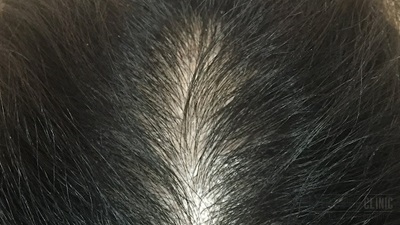 Another treatment for hair loss is stem cell treatment, where our specialist doctor will take a few hair follicles from the back of your scalp, usually behind the ears, and extract the stem cells of the hair using specific high technology machines. These extracted stem cells are then re-injected back into the bald area of the scalp so that hair can grow. Treating the root cause of hair loss is very important, so that hair loss doesn't occur again immediately after the treatment. Therefore, getting the right diagnosis from a specialist doctor like a dermatologist is very important. To enquire more about Hair Loss Treatment, contact us or book an appointment here!